I could eat eggs everyday! And I have. When I took off to Yosemite a few years ago with a plane ticket to San Fransisco and my back pack, I had four dozen hard boiled eggs to nourish me on my adventure. Besides generally, just liking eggs, I believe in the benefits of a good egg. What do I mean by good? I would first encourage you to click the link on grass-fed that I did. Pasture-raised are packed with more nutrients than conventional eggs. I get mine from a local farm (L & A Farms, which I have visited) at the Farmer’s Market, which also sells to a local grocery store. 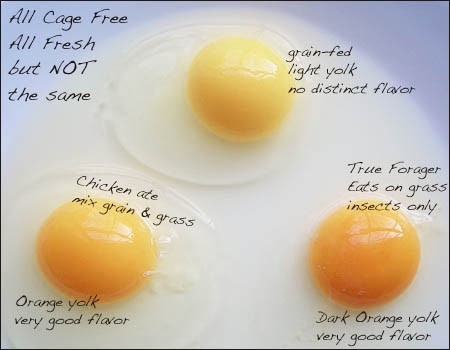 An easy way to tell if your eggs are nutrient dense and superior is the color. 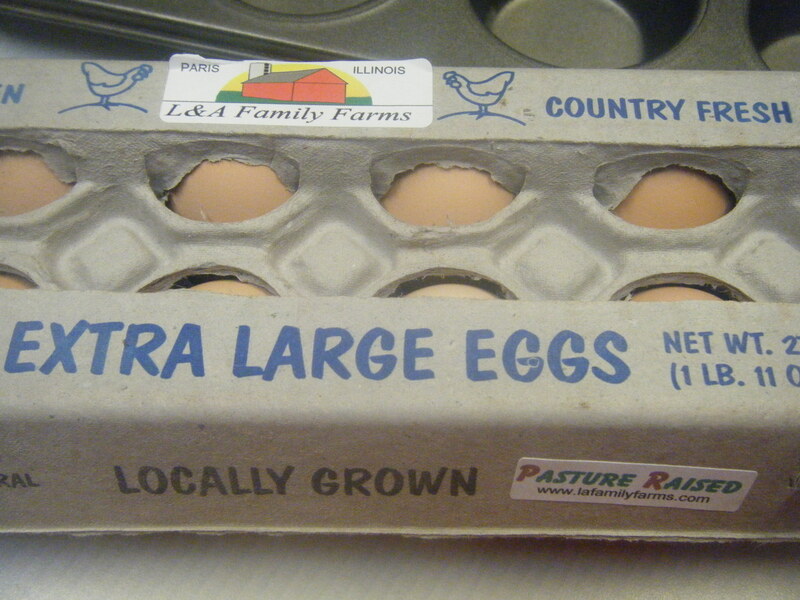 Pastured eggs are a deep, rich yellow color compared to the lighter, cloudier colored store-bought egg. If you want to find grass-fed farmers around you check out Eatwild. com, which lists state-by-state. Even better would be to raise your own chickens! Now that you’ve picked out your eggs, there are so many ways to fix them! I once did an entire cooking class with over 20 recipes (although I originally had over 30, I had to cut it down to what I could make in 2 hours). Actually, this has inspired me, next week I will be posting egg recipes (although I think I could do an entire month of egg recipes). I will begin by something basic. How to make the perfect hard-boiled egg, because there are a plethora of recipes we can make, once we’ve boiled the eggs. I, like most, am used to cooking them on the stove top. STOP. Baking them is where it’s out. This recipe is super simple and results in perfectly cooked eggs, which are easy to peel. Let’s Make it Happen: Get your oven heating to 325. 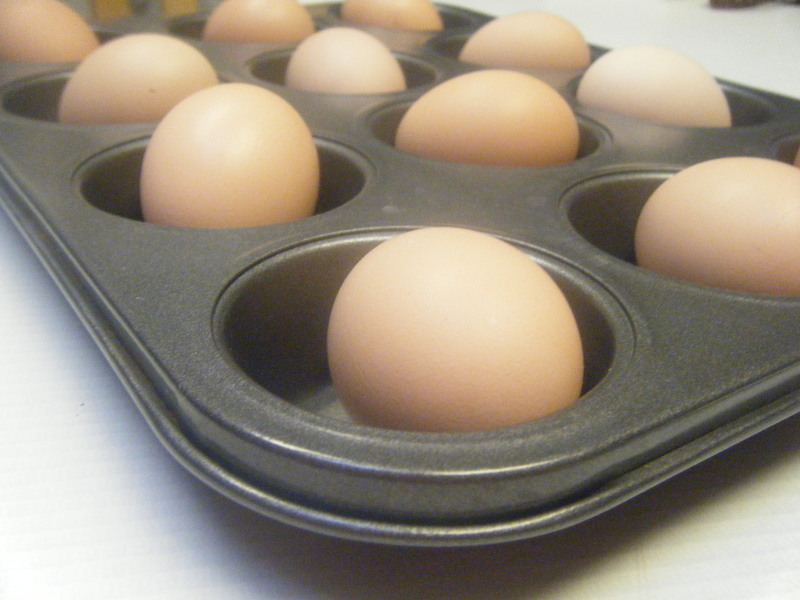 Place the eggs into a muffin tin (one egg per muffin, obviously). Bake for 30 minutes. Remove the eggs, placing them into cold water. Once they have cooled, crack those babies open, peel and enjoy!